Providing consulting services for those in need of water. In2Wells serves a broad range of people’s need for water. Well Drilling Consultant, Water Well Inspections, Water Quality Sampling, Complex Well Issues Explained. Realtors needing well inspections and water sampling, water well contractors needing hydro-geologic and experienced contractor assistance, attorneys needing litigation support and expert witness services, private well owners needing advice. Providing publications, videos, presentations, and consulting services. In2Wells, LLC will be glad to answer further questions. Specialties include water well locating, drilling and construction methods, industry standard procedures, and construction defects investigations. 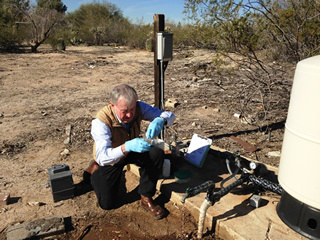 Gary is a Registered Professional Geologist in Arizona specializing in hydrogeology. 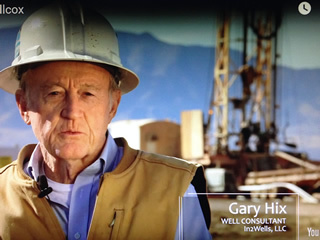 He is also a Certified Professional Geologist and a Certified Well Driller and Pump Installer. Gary has spent the last twenty years working as both a professional hydro-geologist and a Licensed Water Well and Pump Contractor. He has also written and published numerous articles on subjects related to the water well and ground water industry. 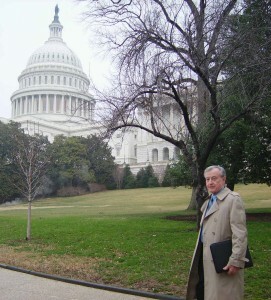 He has made numerous presentations and has given expert testimony about water well construction and contract disputes. In2Wells provides professional services to diverse industries such as: real estate and financing institutions, water well drilling contractors, attorneys and private well owners.